A gas-powered hedge trimmer, the Poulan Pro PR2322 boasts a powerful 23cc 2-cycle engine and a 22-inch wide blade that promises to cut branches up to 1 inch in diameter. But should you get one? What’s the feedback on this trimmer? Let’s help you find answers to these questions in this Poulan Pro PR2322 review. First, let’s have a quick rundown of the Poulan Pro PR2322‘s top features. – 23cc, 2-Cycle Engine. 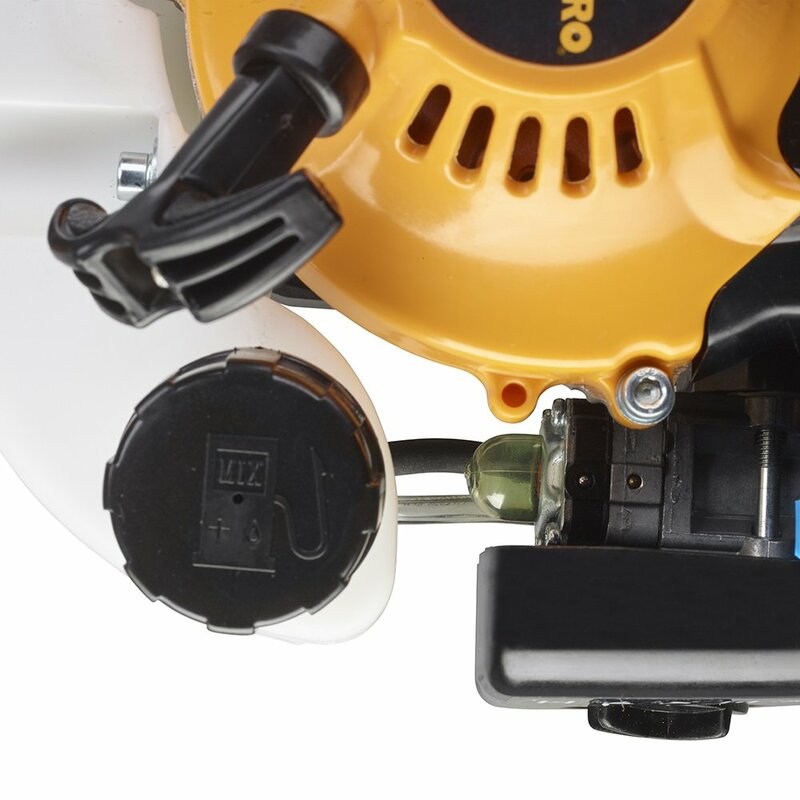 Because this gas hedge trimmer has a 2-cycle engine, one of the advantages is that they are more powerful and more lightweight than their 4-stroke counterparts. When it comes to engine displacement, and therefore power, the Poulan Pro PR2322 is more powerful than the Husqvarna 966532302, which is rated to have a 21.7cc engine. – Dual-Sided Blades. The serrated blades measure 22 inches, and they can cut through 1-inch branches easily, which is one step higher than many of their cordless and corded counterparts. – Easy Control. 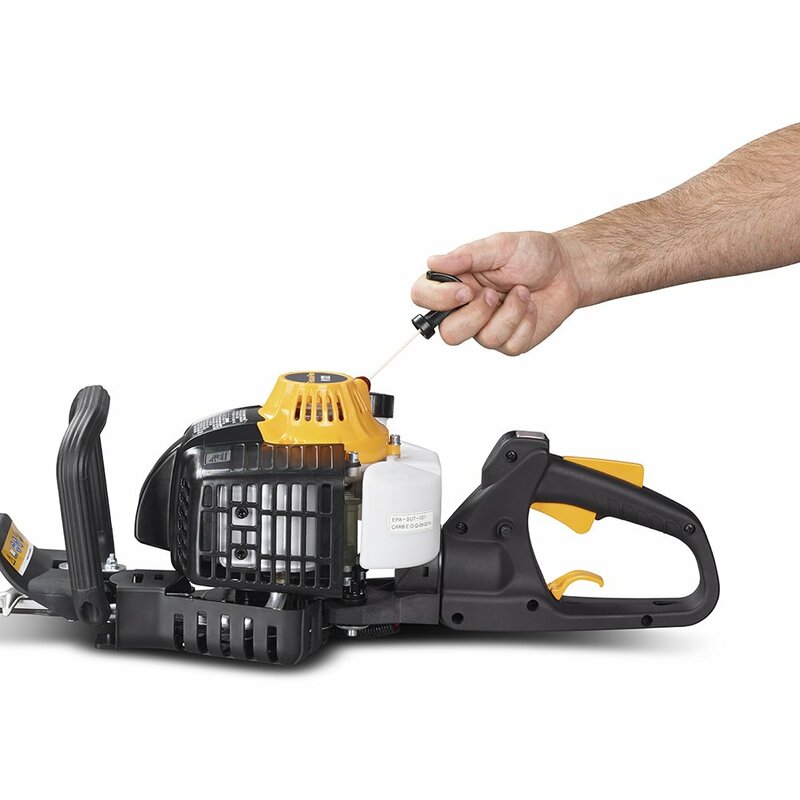 The Poulan Pro PR2322 comes with a rotating rear handle so that you can cut at any angle. – Anti-Fatigue. One, this gas hedge trimmer is lightweight at 11.1 pounds. Two, it comes with an anti-vibration feature that helps absorb vibration to reduce hand fatigue. Also Read: Poulan Pro PP2822 Review – Is This Gas-Powered Hedge Trimmer Worth It? Here’s a summary of what previous buyers have commented about this hedge trimmer. – Performance. 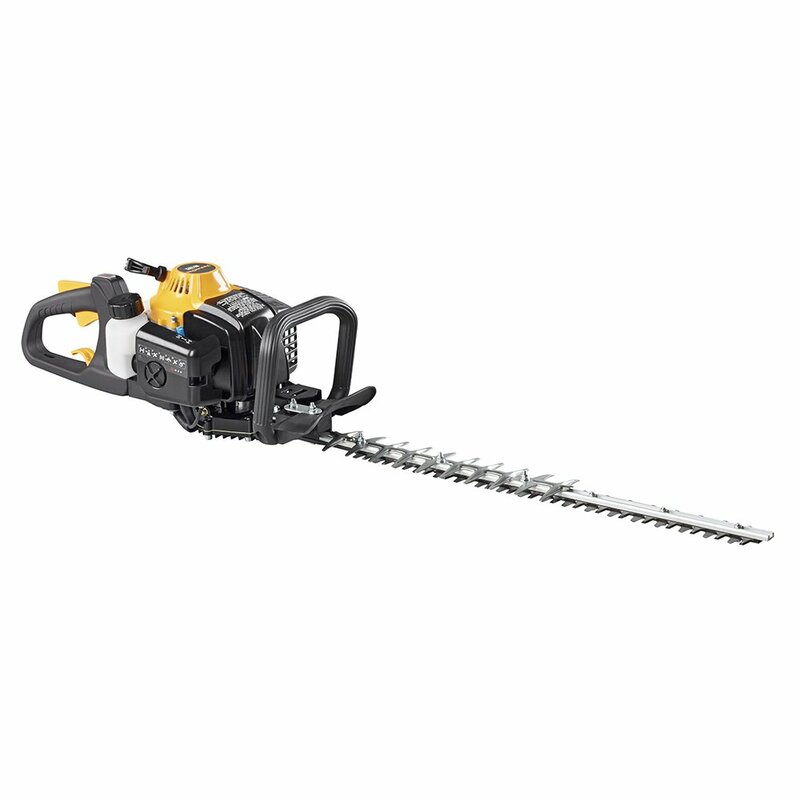 As advertised, the Poulan Pro PR2322 can easily cut branches of up to 1 inch in diameter. Does this deliver this promise? Apparently so, based on consumer feedback. On larger branches, it would take a little longer, but it can cut just fine. As one person has observed, this trimmer can cut a wide variety of bushes/hedges, from cottoneaster to hydrangea. It can even trim trees! – Usage. It’s easy to use, but when it comes to starting this trimmer, it might be “tricky,” as some people have observed. There may be a short learning curve before you can say that you can get it to start easily. – Swiveling Handle. Several buyers have mentioned that they appreciate this feature. It does make a difference. It does what it intends to do. As expected from a gas hedge trimmer, the Poulan Pro PR2322 has enough power to cut through a wide array of bushes/hedges. The downside, however, is that starting it can be tricky.